28th Annual Tompkins Square Halloween Dog Parade New York 233 days ago Rate Now! 2nd Annual Pup Costume Parade at The High Line New York 190 days ago Rate Now! Annual Fort Greene Halloween Festival Brooklyn 233 days ago Rate Now! Annual Tompkins Square Halloween Dog Parade New York 233 days ago Rate Now! 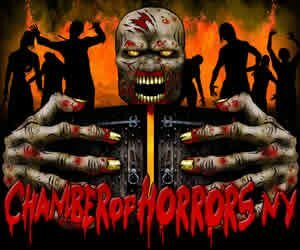 Chamber of Horrors NY Hauppauge 167 days ago Rate Now! Darkness Rising Deer Park 173 days ago Rate Now! Darkside Haunted House Wading River 187 days ago Rate Now! Deepwells Haunted Mansion Saint James 223 days ago Rate Now! Escape Room Madness New York 626 days ago Rate Now! Fall Fest at Sherman SHRIEK Park New York 177 days ago Rate Now! 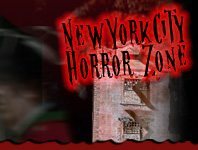 FEARnyc Horror Film Festival New York 177 days ago Rate Now! Fort Greene PUPS' Annual Great PUPkin Dog Costume Contest Brooklyn 177 days ago Rate Now! Gateway's Haunted Playhouse Bellport 217 days ago Rate Now! Halloween Booze Cruise New York 232 days ago Rate Now! Halloween Carnival at Bowlmor at Chelsea Piers New York 177 days ago Rate Now! Halloween Festival at Parade Grounds in Fort Totten Park Bayside 232 days ago Rate Now! Halloween Haunted Walk & Fair in Prospect Park Brooklyn 232 days ago Rate Now! Halloween in Richmond Town Staten Island 188 days ago Rate Now! Halloween Kids Party Cruise Pirates & Princess New York 188 days ago Rate Now! Halloween Pumpkin Flotilla New York 231 days ago Rate Now! Halloween Themed Toddler Time Valley Cottage 177 days ago Rate Now! Harvest Fest & Pumpkin Patch at Queens Botanical Garden Flushing 231 days ago Rate Now! Harvest Festival at Pier 6 Brooklyn 231 days ago Rate Now! Haunted House Police Station Brooklyn 177 days ago Rate Now! Haunted Orchards at Demarest Farm Hillsdale 239 days ago Rate Now! Haunted Walk and Fair Brooklyn 188 days ago Rate Now! Hempstead House Haunt: Vampyres’ Lair Sands Point 192 days ago Rate Now! Howl-o-ween Bronx 231 days ago Rate Now! Howloween at the Zoo Binghamton 936 days ago Rate Now! Industry Magazine's Legends of Horror Halloween Ball Staten Island 177 days ago Rate Now! New York's Village Halloween Parade New York 189 days ago Rate Now! Night of the Crawling Dead Bar Crawl New York 232 days ago Rate Now! Omar's Fantasy Forest Halloween Party Corona 188 days ago Rate Now! Omar's Halloween Party Woodhaven 189 days ago Rate Now! RISE of the Jack O'Lanterns at Old Westbury Gardens Old Westbury 216 days ago Rate Now! Scary Stories With Tammy Hall Brooklyn 232 days ago Rate Now! Socrates' Annual Halloween Harvest Festival Long Island City 232 days ago Rate Now! Stranger Things Halloween - Annual Masquerade Macabre Brooklyn 187 days ago Rate Now! The Cutting Room Mansion New York 190 days ago Rate Now! The Gravesend Inn, A Haunted Hotel Brooklyn 232 days ago Rate Now! This Is Real Brooklyn 188 days ago Rate Now! Washington Square Park Dog Run Halloween Costume Contest & Party New York 188 days ago Rate Now! Windy Acres Farm Calverton 188 days ago Rate Now! Yaphank Trail of Terror Yaphank 212 days ago Rate Now!